Who invented Air Conditioning ? Who invented Ball-Point Pen ? 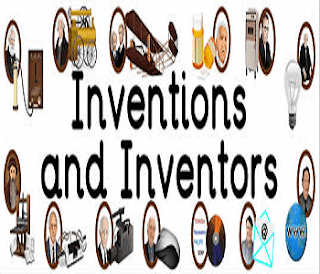 Who invented DNA Structure ? George Stephenson was first to buit steam locomotives. Who invented Machine Gun ? Who discovered Circulation of blood ? Who invented Vaccine of Rabies ? Who discovered Vitamin A ? Who discovered Vitamin B1 ? Who discovered Vitamin C ? Who discovered Vitamin D ? Who discovered Vitamin K ? Doisy Dam of U.S.A. in 1938.
Who invented by Electric Lamp ? Who invented CT scan ? Hounsfield by Britain in 1973.